I shall melt away again. - An extract from Little Daughter of the Snow by Arthur Ransome. This book... it's a dream. An unhurried, ethereal, captivating dream - so captivating, that I cleared out my currently-reading shelf after the first two pages so that I could bask unhindered in the spell this book cast on me. The Snow Child is a retelling of the Russian fairy-tale Snegurochka or The Snow Maiden. 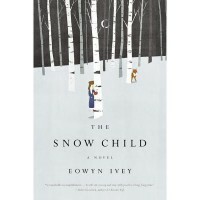 Eowyn Ivey's debut tells the story of an old childless couple in the Alaskan wilderness, who shape a little girl from snow during the winter's first snowfall. What happens thereafter is pretty obvious. The first half of this book is absolute perfection. The Alaskan setting, the characters, the magic in the winter air - everything comes alive through Ivey's gorgeous prose. Somewhere past the halfway mark however, the story takes a detour from the original fairy-tale and things get impossibly more real with every page, finally ending on a note that's too bizarre to fully comprehend. The Snow Child constantly hovers on the border between illusion and reality, which may either be the book's strongest point or it's undoing, because if you think about the plot too long, many threads come untethered and threaten to unravel. Jack and Mabel are some of the realest characters I've ever encountered. I cannot claim to exactly understand their anguish; I'm too young for that. 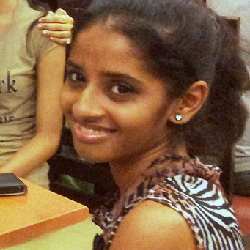 But I could feel it - in the silence, in the breath of the narration, in the things that were deliberately left unsaid. I understand how the absence of something (or someone) can haunt a person like a presence. I understand why seeking an explanation may not be so important when the thing you most desire ends up at your doorstep. On the contrary, the Snow Child herself, or Faina as she's called, never felt real to me. I'm guessing this was the author's intention. It works well in the beginning when Faina is more of an illusion, coming and going like a shadow. The second half adds (or tries to add) more substance to Faina - something I had trouble digesting - which is probably why it felt weaker in comparison. The entire story has an undercurrent of sorrow to it. In the beginning, Jack and Mabel grieve for what they never had. Once Faina enters their lives, this grief takes the form of a quiet desperation; the dread of losing what they now have, even though Faina is more of a phantom-child than a real daughter. Another thing that struck me was the occasional streak of violence. There are many animal killings in the book. Surviving in a landscape like Alaska would entail hunting for meat but in retrospect, I feel these scenes were strategically placed at intervals. Like the visual of blood on snow was meant to combat the fascinating idea of a child born of snow. Not much happens in the book plot-wise. Some of the most enchanting parts are also the quietest. It's like peering into a snow-globe - the scenery does not change; yet, there's something so captivating in simply watching the glitter settle, and also this feeling of fragility, like how the world inside the globe could shatter in a single fall. Fairy-tale or not, The Snow Child requires you to follow the rules of one: It doesn't matter why or how things happen; just that they happen. If you can do that, this book will take you on an enchanting journey. A stunning, stunning debut. Highly recommended.